Liane Katz is the founder of MAMA.Codes, a mum and entrepreneur and specialist in teaching children to code. As the world becomes increasingly digitally focused, we need to ensure that children are part of the digital conversation. The rise of Artificial Intelligence which is now being incorporated into robots is potentially both exciting and threatening to the workplace of the future. This ever changing backdrop means uncertainty, but possessing excellent coding skills will protect kids against this. In order to meet this need, I set up MAMA.codes to teach children between 3-8 the vital 21st century skill of computer programming, in schools, code clubs and at home through songs, nursery rhymes and jokes. How can parents help develop this key skill? There are now tailor-made coding packages for children that can be downloaded from app stores. 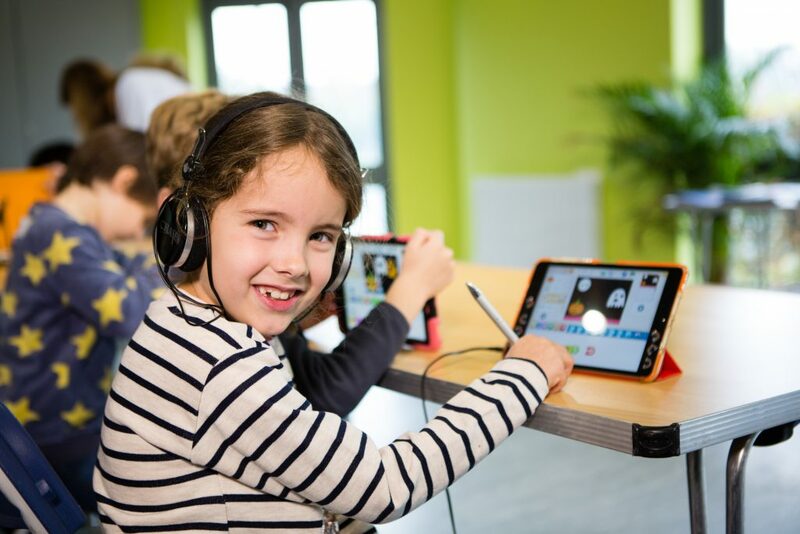 One is Scratch Junior, a free app created for Ipad and Android tablets and developed at the Massachusetts Institute of Technology Media Lab. This is suitable for kids 5+ and uses a range of visual blocks which when stacked together create a program. Tynker, suitable for kids age 7+ is another option. Many parents will be familiar with Minecraft and it may well indeed be the bane of their lives. However, you can cleverly incorporate learning and play by using visual blocks that represent coding languages using Tynker. There is a specific section that allows kids to design their own Minecraft skins using visual code. This builds confidence as kids use a language which empowers them to code easily. They can then progress to text languages such as Java and Python. You can also check out RoosterMoney’s favourite coding apps for kids here. Kids code clubs, like MAMA.codes, can enable learning in a fun environment. One week they’ll be creating an image of a fish tank, the next, they’ll be animating that very same tank with amazing results. By doing so, kids learn to translate an abstract concept into a visual result on a screen. They’ll also improve their maths and analytical skills to boot, as each class involves creating projects that have to be broken down and analysed, similar to most complex maths problems. This in turn teaches patience and resilience as kids have to see a project through, all while having fun. Children enjoy learning in a group of peers and develop important teamwork and social skills this way too. Start with a search of your local area to see what’s on offer. Having a physical object to work with eases coding. Lego Boost is one example of a toy that children can use to increase their learning. Designed for slightly older children aged between 7-12 years old, kids can build 5 robots and vehicles one at a time, then control them using the app. To do this they’ll need to consider how they’ll make the robots complete their chosen tasks, and thereby hone their project management and engineering skills to build the robots in the first place. You’ll need a compatible tablet to run the app and the pieces are not the same as ordinary Lego, so mixing them up isn’t advised. Possibly old school, but the portability of a book with good visuals can inspire older children and parents guiding them on how to code. Carol Vorderman’s Help Your Kids with Computer Coding is good for beginners, providing a visual guide from binary code to building games. The book starts with Scratch, explains how it works and provides examples to get children up and running. There are games that kids can build in minutes by following the simple numbered steps. Universal coding concepts are introduced such as variables, strings and Boolean logic. Another book option is ‘Coding for Kids for Dummies’ by Camile McCue. This explains key coding concepts in plain English, breaking coding into a series of small projects designed to teach kids a core concept to build a game, app or other tool. Kids are encouraged to apply maths and logic already gained in school to coding projects. The book is designed specifically for parents, teachers and kids who want to enhance STEM and knowledge of coding. Parents may not know the future, but by helping kids to learn to code, they can arm them with the necessary tools to take into the digital unknown. MAMA.codes is running a special offer for RoosterMoney members: the first 25 code bookings will receive £5 off our classes by using the discount code CODE RM. See you there! MAMA.codes believes in teaching coding as a language by putting fun and creativity at the heart of a skill that many grown-ups think of as dry and even baffling. MAMA.codes specialist tutors teach children at the age they are most receptive to learning language patterns – under 8 – and are often amazed by the swift progress even tiny tots can make at our code clubs and holiday workshops. The company is on a mission to start all young children on their coding journey – and to empower and inspire the teachers and parents around them to ‘fall in love with coding’ by showing how creative and simple it can be. From gingerbread men to space adventures and Knock Knock jokes, children following MAMA.codes bespoke courses can learn fundamental computing concepts while creating imagination-fuelled animations about subjects they love. We are growing fast and have 28 weekly classes and tutoring sessions currently available across London, Hertfordshire, South Buckinghamshire and Kent, with more launching soon. We are super proud that over 50% of class attendees are girls.